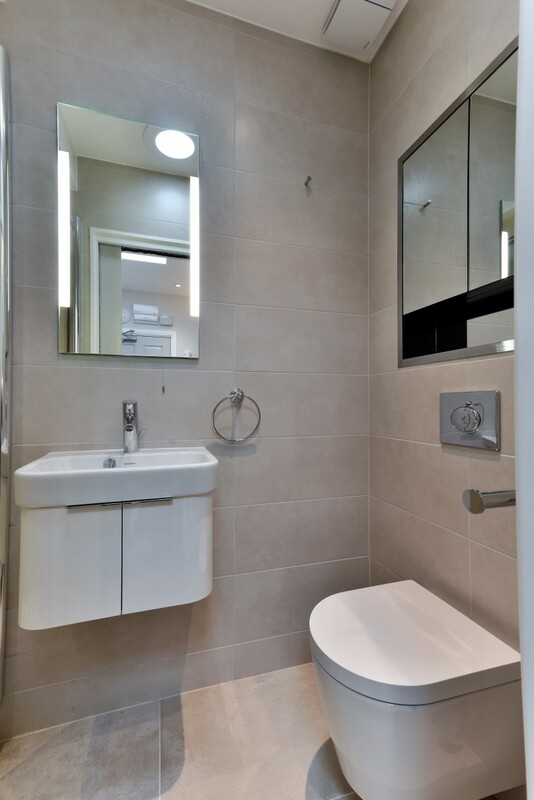 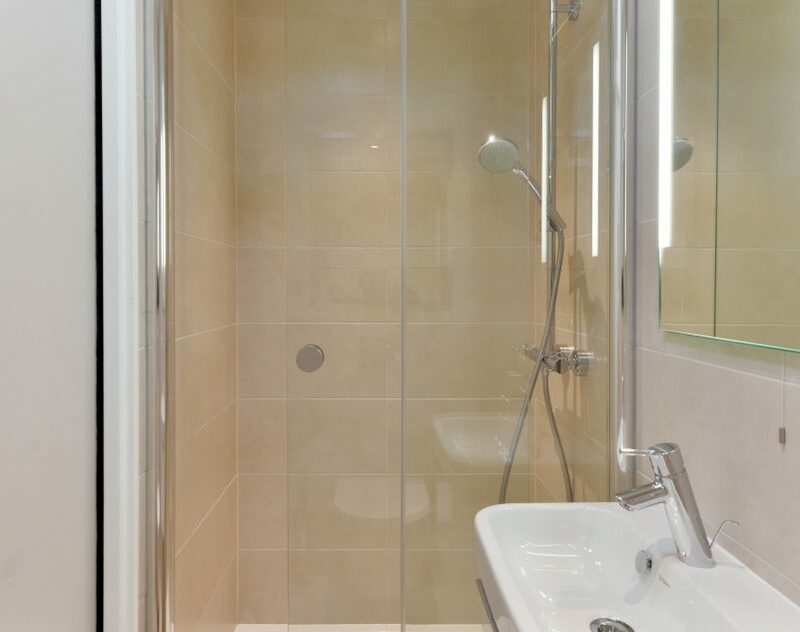 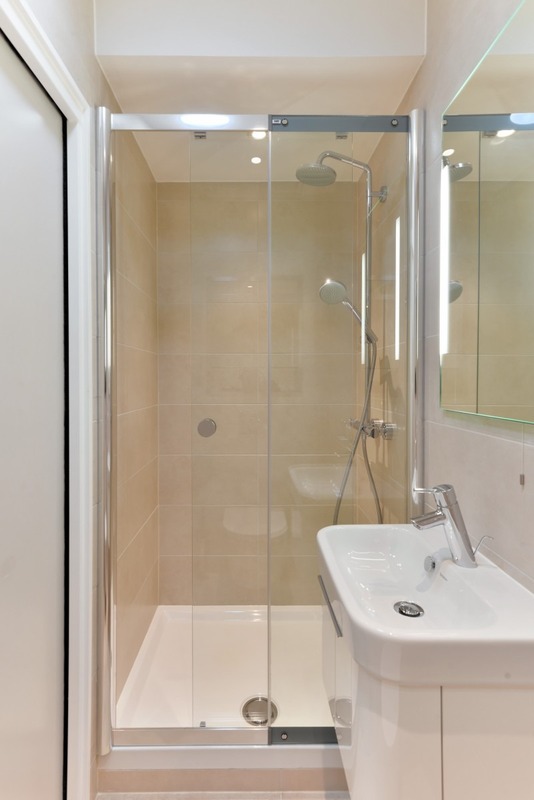 Apartment LG25-42 - Notting Hill Apartments Ltd. 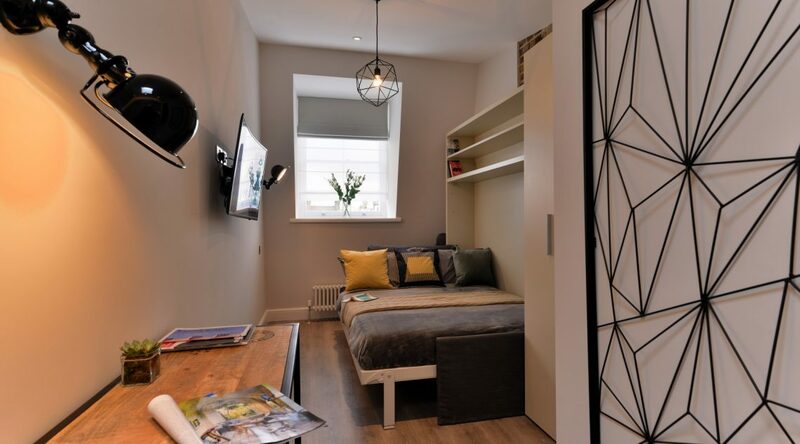 This bright studio apartment is on the fourth floor of a pretty Victorian house in Notting Hill. 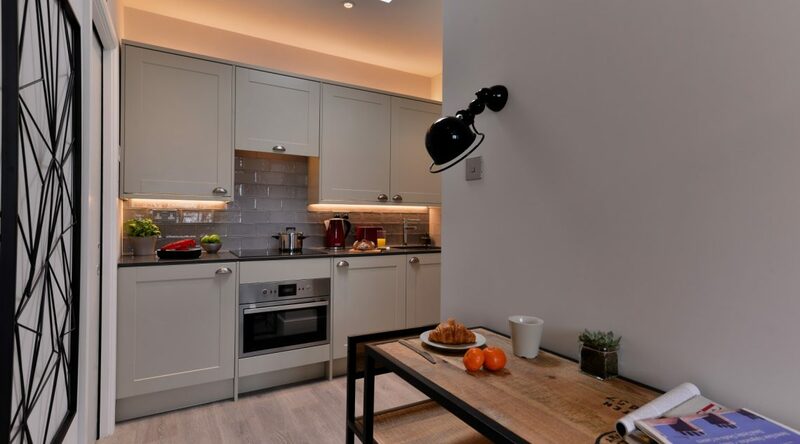 The house is on a quiet tree lined street but only a few minutes’ walk away from the busy Notting Hill area. 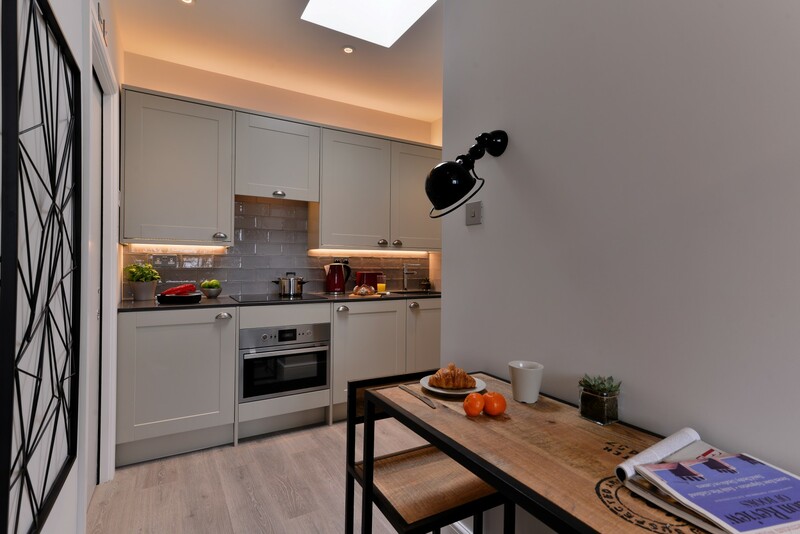 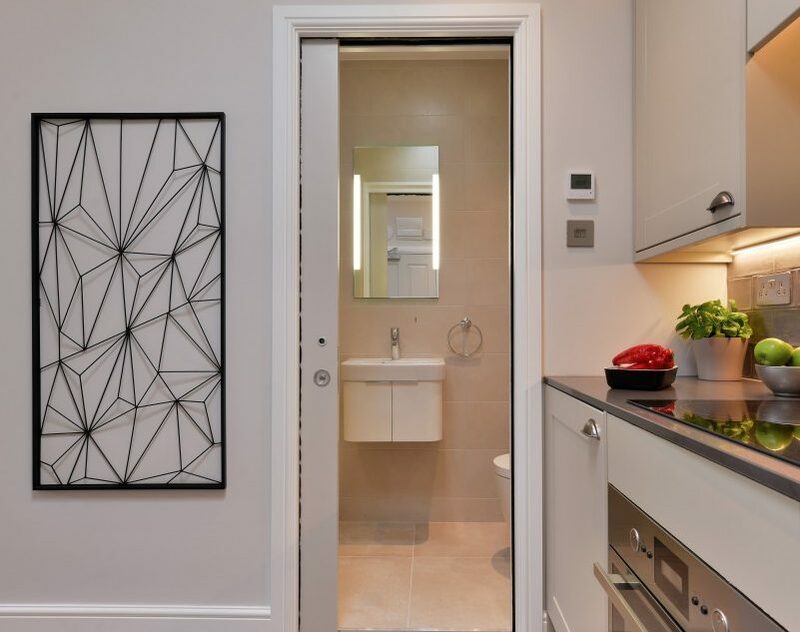 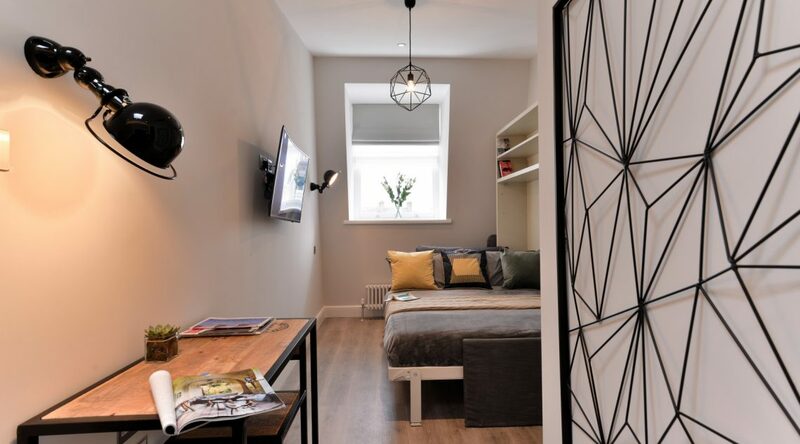 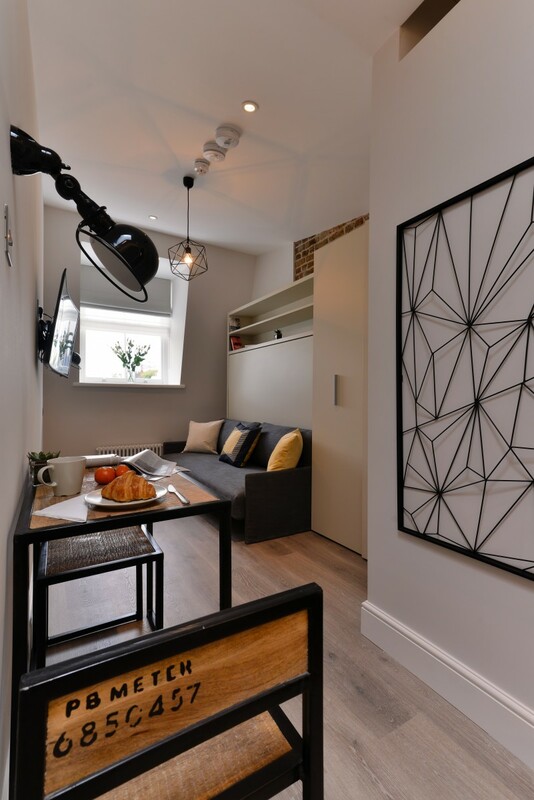 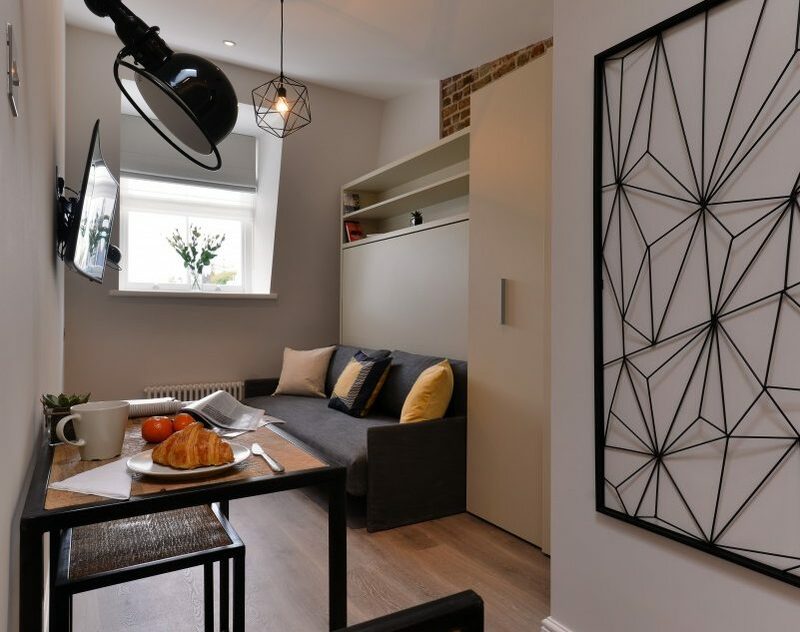 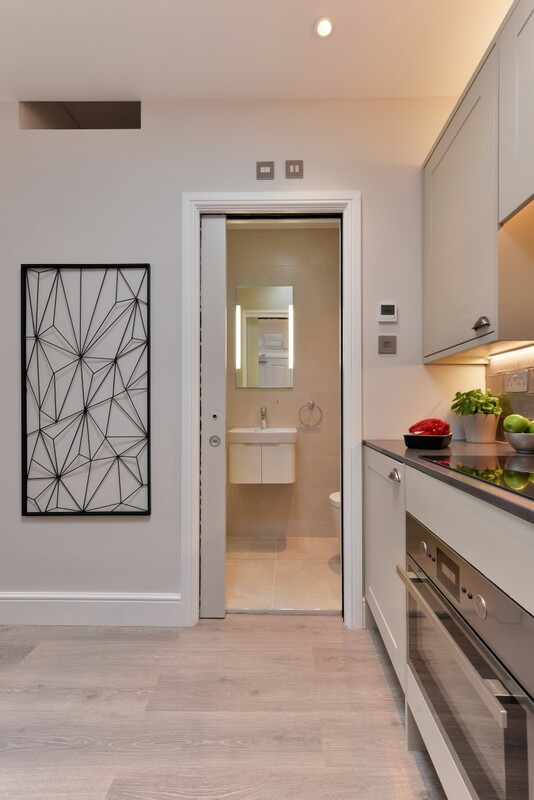 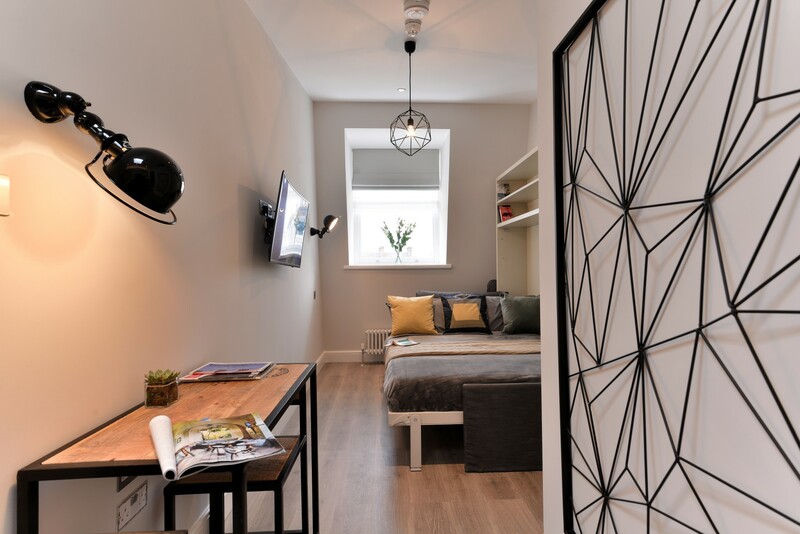 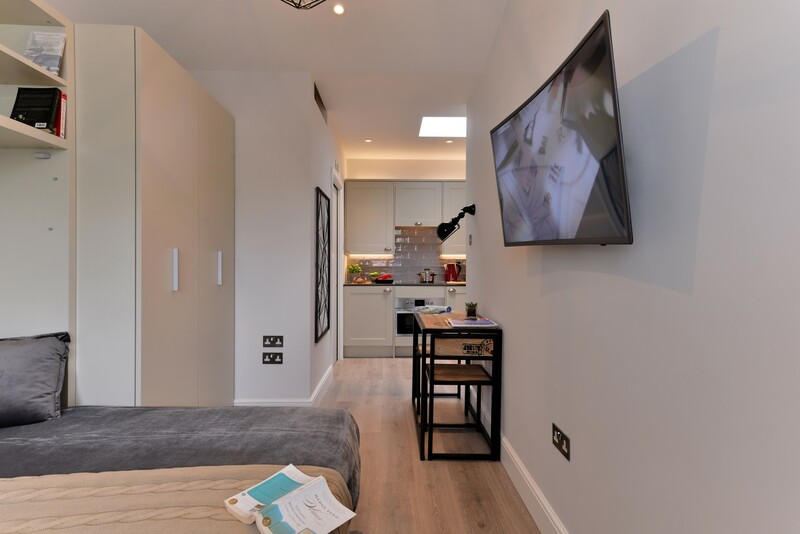 The apartment has been stylishly refurbished with oak floors, exposed brickwork, designer lighting and custom made joinery giving it a warm and contemporary feel. 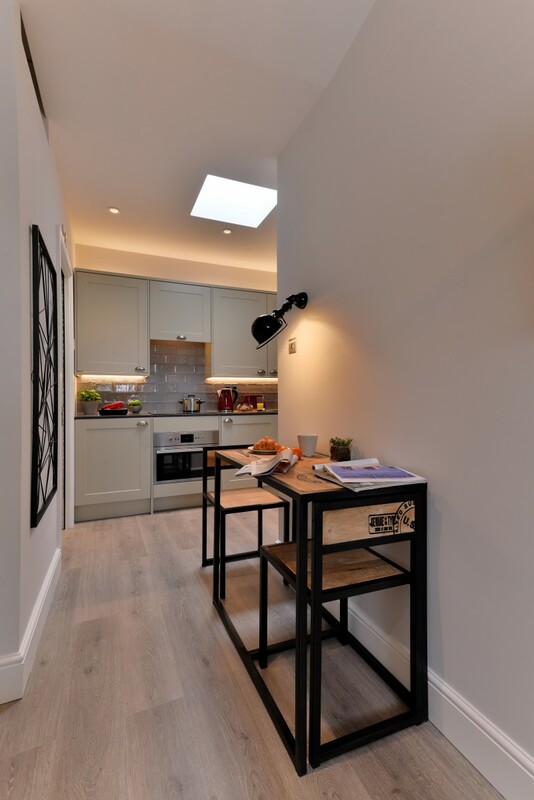 The window has lovely views of the gardens and trees below and together with the skylights provides plenty of natural light. 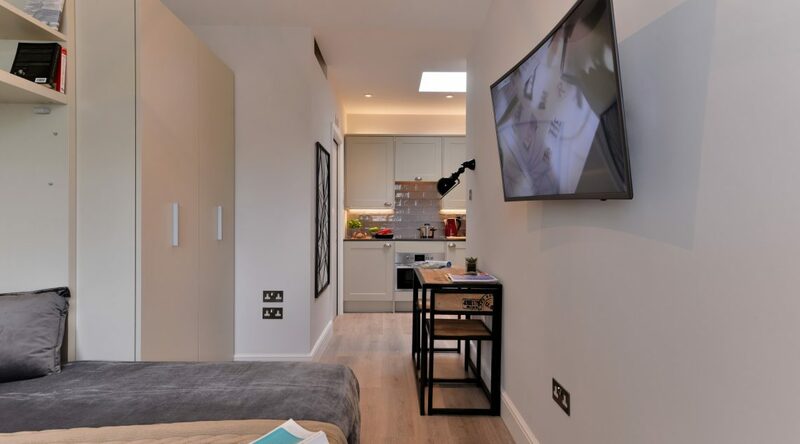 If you are looking to rent an apartment in London, Notting Hill is a great location and also a destination for many Londoners. 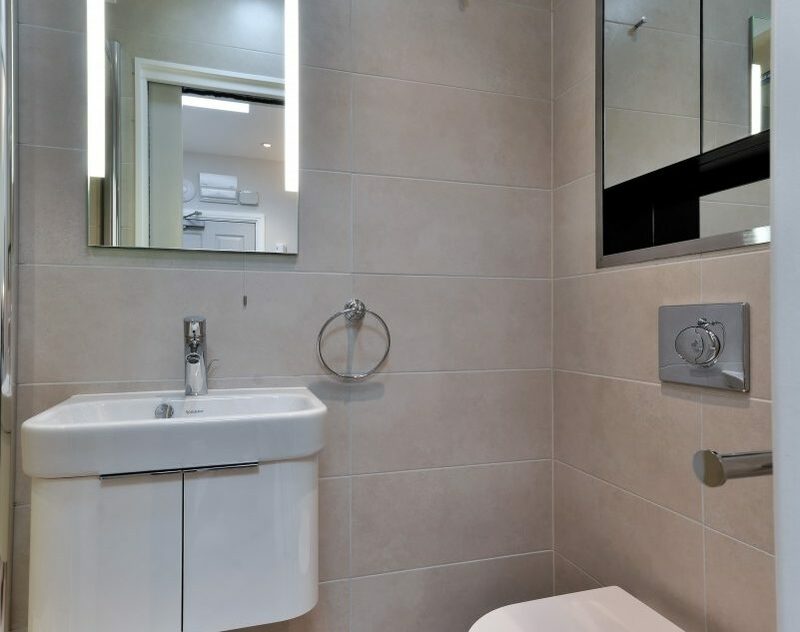 It is a wealthy and picturesque area with a village feel and a variety of great shops, pubs and restaurants. 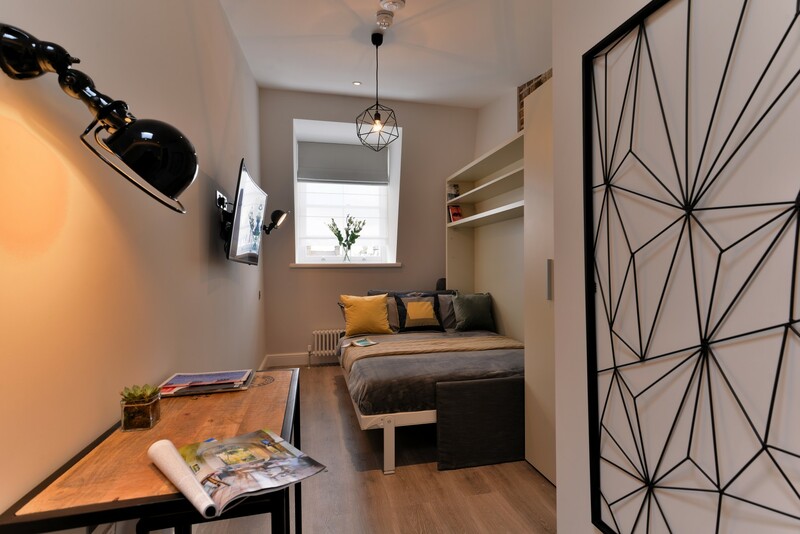 The Famous Portobello Road Market is a short walk away, as are numerous other clothing and food stores and trendy designer boutiques. 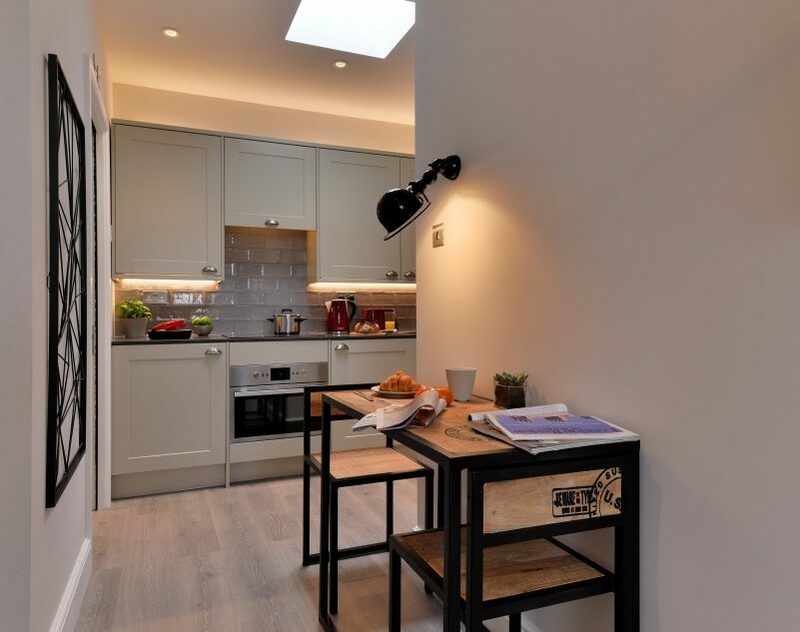 Find out more about the area in our area guide.